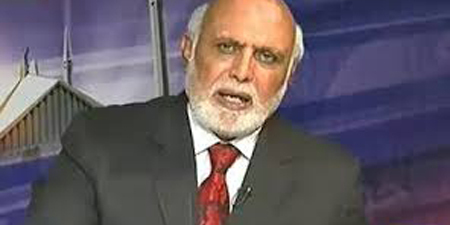 ISLAMABAD - Columnist and analyst Haroon ur Rasheed on Thursday offered an unconditional apology to the police officer he called regarding an arrest and used harsh words during a testy exchange which went viral. “I seek forgiveness from the police officer,” Rasheed wrote in his column in Daily Dunya. He added that after giving the matter due consideration, he reached the conclusion that his use of words was not appropriate. However, the columnist still believes that the police officer tortured an innocent man. He added that he was asked to file a written complaint, but decided not to. He also admits that he should have expressed his regret immediately instead of waiting for some days. Good. That was an honorable conduct. People do mistakes; key is to accept it and do amend. Behtar hai ab IK say bhi maafi maang lay. He has done very negative portray of Khan lately for not taking him as his advisor . still Mr. HR not accepting this completely. He is still blaming policeman. Very sad. 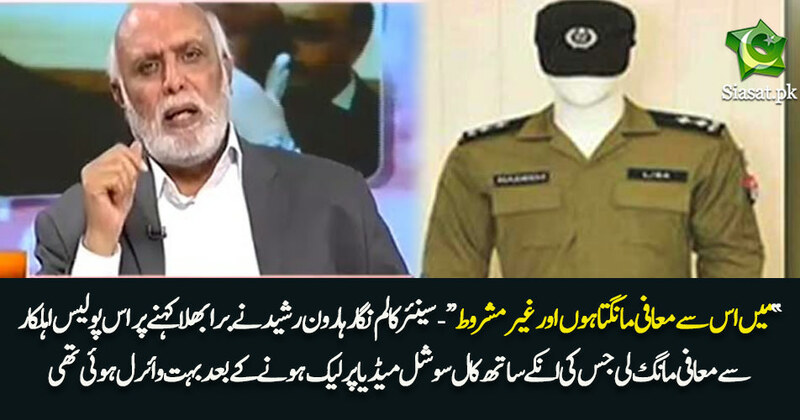 I salute to the police officer who shows this guy Haroon Rashid's real face to the people of Pakistan ,this is a mind set of very few people who used their influence to show their budmashi we need to change that mind set from Pakistan in new Pakistan. It takes a strong man to stand up, admit his mistakes and apologize. Most of the people are weak and cowards like Nawaz Sharif who never once apologized for his blunders. chachaa teetri ko fouj ne bhi jhandi dekha de hai! chacha ne upar likha hai keh chacha ne jawaban bora bhal kaha ! phir se jhoot bol raha hai !